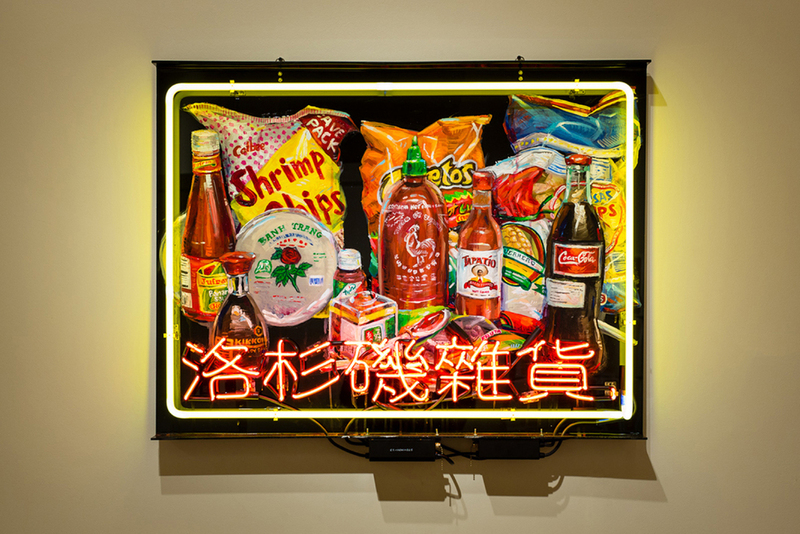 As mentioned in the Los Angeles Times, "California's two defining hot sauces - Sriracha and Tapatio - are the focus of L.A. Heat: Taste-Changing Condiments, a collection of mixed-media pieces by 30 local artists, including Jose Ramirez, Audrey Chan, and Sand One, at the Chinese American Museum. These individuals were chosen to create Sriracha and Tapatio-inspired artwork for the L.A. Heat exhibition, which will run through July 12 at 425 North Los Angeles St., Los Angeles. For those of you who aren't in the L.A. area, check out some recap photos below - taken by Brandon Shigeta of Hypebeast. “Hot sauce must be hot. If you don't like it hot, use less” - David Tran, creator of Sriracha.